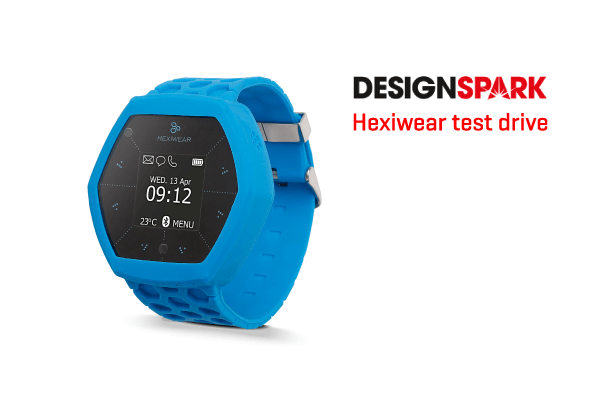 Another chance to get a test-drive Hexiwear. Over at Design Spark, the Engineer community of RS-Electronics, they are offering Hexiwears to three members. To qualify, you have to provide the most compelling overview of what you would do with your own Hexiwear. Winning entries are also expected to post an article on DesignSpark.com describing their project in detail. Both written or video content will be acceptable. Those who win will get a Hexiwear, an accessory pack, and a Hexiwear Docking Station…. Another chance to get a test-drive Hexiwear. Over at Design Spark, the Engineer community of RS-Electronics, they are offering Hexiwears to three members. To qualify, you have to provide the most compelling overview of what you would do with your own Hexiwear. Winning entries are also expected to post an article on DesignSpark.com describing their project in detail. Both written or video content will be acceptable. Those who win will get a Hexiwear, an accessory pack, and a Hexiwear Docking Station. You have until Wednesday August 17 to apply 10 PM to apply. Winners will be announced on August 26. If you miss the deadline, you still have a chance at the hackster.io contest as well as the HWTrek program.